Château d’Aussières is the “cuvée d’excellence”, the product of a strict selection from the best plots in the vineyard, made in limited quantities. 40% is aged in oak barrels for 12 to 16 months. The wines express all the richness and elegance of the late-ripening, cool terroir. As in previous years, the weather varied enormously over the Languedoc region. In the north, there was heavy rain at the end of the summer, while in the Narbonne area, further to the south, hardly a drop of rain fell over the same period. 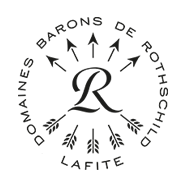 Thanks to these consistently good conditions, all of our plots were able to reach optimal maturity, offering excellent aromatic expression and perfect balance for all varieties: from the early-ripening Chardonnay to the later-ripening Mourvèdre and Cabernet Sauvignon. Dark colour with glints of violet. The nose is deep and elegant, but still quite closed. The effect of the barrel-ageing is not yet fully integrated, but the delicate woody notes are already blending with aromas of pine and eucalyptus. On the palate, it is powerful with notes of cherry and chocolate. The significant proportion of Mourvèdre gives the wine good length and perfectly complements the finesse of the Syrah and the lighter notes of the Grenache. The finish is well-balanced and elegant. Having benefited from almost perfect conditions during the growth cycle, this vintage, despite its relative youth, is very pleasant to drink now, and will no doubt keep its freshness for some years to come. Best time for drinking: 2018 to 2022. Despite very different conditions from the previous vintage, 2014 presents some similarities in terms of the balance of the wines, with a good level of extraction, lovely aromatic finesse and plenty of freshness. Dark red colour with purplish glints. Deep, elegant nose with notes of eucalyptus and pine sap. Superb attack on the palate, with cherry flavours and a hint of cocoa. Lingering, well-balanced, elegant finish. This vintage can be appreciated both very young and after a few years in the bottle. Intense, glittering red colour with a slightly bluish tinge. The spicy nose offers peppery notes of cloves and fresh nutmeg. On the palate, the attack is well-rounded, continuing with vanilla and silky tannins that accompany a long, elegant finish with notes of toast and caramel. The summer period benefited from normal temperatures and rainfall. The only problem for this vintage occurred late in the season, with a rather cold September that ended with a stormy period. However, while this weather meant that the harvest was carried out in difficult conditions, it did not affect the quality of the grapes. Intense crimson colour with dark purple highlights. Direct bouquet, but still discreet. Gingerbread and roasted notes rapidly develop with aeration. The attack on the palate is quite reserved but after a few minutes in the glass, the wine becomes silky and aromatic, liquorice and blackcurrant blend harmoniously with well-integrated woody notes. Thanks to its freshness, the aftertaste – that still shows a hint of vanilla- offers beautiful length with very fine tannins. 2011 was characterized by a cold winter with significantly low rainfall and varying amounts of sunshine. In the spring, unlike other wine producing areas in France, the Languedoc benefited from regular rain and mild temperatures. June and July had some periods of cooler than normal weather and a little summer rain, enabling the necessary water reserves to be maintained for the grapes to change colour and ripen. The entire 2011 harvest period was accompanied by exceptionally warm autumn weather. Nose: superb with a broad range of red fruit and aromas of the garrigue. Palate: this was a slightly unusual vintage for the region; rather than richness and power, the wine offers more complexity. The attack is refined and very aromatic, there is a good presence in the mouth and the wine is perfectly balanced. Despite a very wet May, the overall rainfall was below average at the time of harvest. Aussières’ “cool” terroir helped the vines withstand the dry period, but the harvest was later than the previous year. The mild days and cool nights of the autumn enabled slow ripening with well-balanced grapes. Beautiful nose with just a hint of woodiness and vanilla. The maturing notes are already perfectly integrated. The nose develops a blend of black fruit dominated by fresh blackberries. The attack is fresh and rather mild, but the wine evolves quickly in the mouth, developing an excellent richness, typical of the great vintages at Aussières. The remarkably long finish is well supported by ripe, elegant, precise tannins. Very dark, almost black, garnet colour. The nose is subtle but has superb depth. Perfectly integrated, almost imperceptible woodiness. Hint of blackcurrants. An immediate sensation of density. The wine develops on the palate for a long time. It is full-bodied, without being aggressive. At the moment, the Syrah is very dominant, but is still very well complemented by the smoothness of the Mourvèdre. The finish is very long, remaining balanced with well-defined but perfectly blended tannins in a very classic DBR style. This is a wine that shows great potential…and which deserves to be left in the bottle for at least a few months! The winter and spring of 2008 were very dry but fortunately, at the end of May, there was plenty of rain. Then, despite the severe overall dryness, the growth cycle was able to continue very favourably due to a few strategic showers. The Tramontana and the sea breeze followed one another at the end of the summer, with regular sunshine and slightly below average temperatures. Colour: Very dark garnet red, with hints of violet. Nose: Excellent aromatic intensity dominated by red fruit and spices. Woody notes are subtle but definitely present. Palate: The light attack confirms the wine’s youth. The wine quickly becomes full-bodied, developing on the palate with notes of dark fruit and spices. The immense richness of the Mourvèdre combines with the balance of the Syrah and Grenache to define a very elegant tannin structure. Mellow notes from the maturing process mingle harmoniously in the long, persistent finish. The Languedoc benefited from excellent weather conditions in 2007. While overall there was an shortage of water during the growing season, the small amounts of rain that fell came at just the right times. This resulted in excellent growth up to the harvests. Once again, thanks to a particularly temperate summer, all the Languedoc grape varieties reached a high degree of ripeness. This particularly well-balanced vintage produced an “explosion” in the quality of the Mourvèdre plots. Nose: Nice intense aromas of fresh red fruit and spices. The oak is well integrated in the heart of the wine’s aromatic structure. Typically Languedoc style with lovely notes of ‘garrigues’. Palate: At first quite reserved and then rapidly opens up. Rich, balanced and elegant. The tannins are tight and silky. Crisp fruit. The retro-olfaction is spicy and floral. A long, dense finish. The rich tannic character and liveliness of Mourvèdre ensures that the wine is very much in the DBR style. The winter was very wet and the cold weather lasted well into the spring, leading to late development of the vines. Between May and June, however, the weather was very good, providing us with excellent flowering conditions. Despite the very hot weather in July, conditions in August were temperate with light rainfall, which was ideal for the ripening of the grapes. Cloudy weather in September was good for the later-ripening varieties. Beautiful inky red colour, almost opaque. Although closed due to its youth, the nose has great depth with elegant, well-integrated oak. Very big on the palate, with great richness. Dense, firm but elegant tannins. The fruit is pure and has bite. The finish is long and the balance is very robust. This wine will keep its wonderful aromatic freshness for a long time. 2005 in the Languedoc will remain an example of perfect climate conditions for the vines. The winter was harsh and windy and these conditions lasted until mid-spring. Summer temperatures were in keeping with the norms for that period and growth and development were ideal. By harvest time this vintage had reached an exceptional level of ripeness. Very dark colour, with purple-black tints. The nose is discreet but deep and elegant, still showing signs of the ageing process. The oak is delicate, already blending in with the aromas of pine and eucalyptus. The wine is powerful with cherry and chocolate notes. The Mourvèdre, a new addition to this wine, adds interesting length and complements the Syrah and the Grenache perfectly. Elegant, balanced finish. This wine can be drunk very young and will keep its freshness for a long time. In 2004 the climate was unusual in the Languedoc. Winter and spring were rainy with little wind. Summer was marked by a coastal wind which kept a high level of humidity. The low temperatures were quite marked in the Corbières. A very fine late-season saved the vintage; ‘La Tramontana’ (a very steady wind) started on 15 September and continued until the end of the harvests. Immediately very mouth-filling and well-rounded. Youthful tannins that should mellow with time. Fresh notes dominate throughout. Cedar notes come through again and also resinous notes. Mineral aromas accompany the finish, which is unusual for the Languedoc. The year was marked by the heatwave that affected all of France’s vineyards. However, in the Languedoc, temperatures were not as extreme as elsewhere. It was a very early vintage. Very dark garnet-red. An intense yet still somewhat closed nose dominated by fresh red fruit with hints of oak, spices and coffee. Complex, very well integrated aromas. A supple attack and an immediate impression of volume. A dense, concentrated wine. Fine, tight tannins still very present. Good balance and consistency on the palate, with a long finish.